The story of the early days of Zelda Wisdom reads like fantasy fiction. The company must have appeared by many to be an overnight sensation. But dig a little deeper and like most apparent overnight success stories you realize that Carol Gardner at 52 did an amazing job of transitioning the skills and leveraging the contacts made in her previous career as a creative director in advertising, into almost immediate entrepreneurial success. Lessons that are valuable for anyone considering moving from the corporate world to an entrepreneurial endeavour. More on lessons learned later. Giving hope to all those contemplating start-up success at 50+, Carol’s circumstances at 52 were far from optimal. In fact she was facing divorce, with significant debt, no job and suffering from depression. Perhaps it was this sense of hitting rock bottom that spurred Carol’s fearlessness that followed. Many of the best business stories start with a serendipitous event and Carol’s story is no different. In fact there were a number of them. It started with advice she received from her divorce lawyer who told her she needed to get either a therapist or a dog. 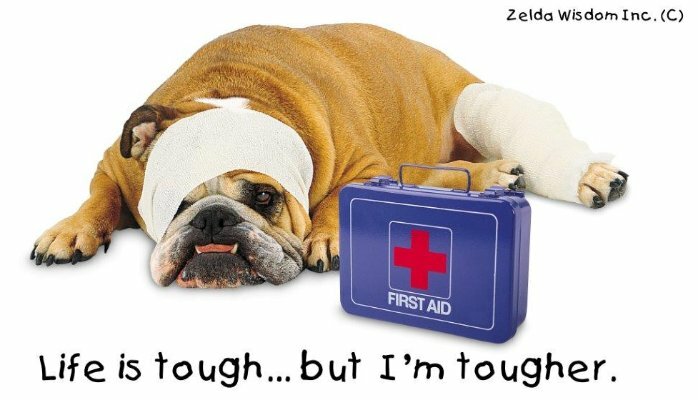 Carol opted for the latter and ended up with a four month old English bulldog she named Zelda. As Carol tells it they were both underdogs looking for unconditional love. As fate would have it a friend of Carol’s knowing of her financial plight made her aware of an annual Christmas card contest that a local pet store was running. The top prize was 40 lbs of dog food every month for a year. Carol captured a photo of Zelda in a bubble bath with a borrowed Santa hat and the bubbles forming a beard. She entered and won the contest with the one-liner: “For Christmas I got a dog for my husband… good trade, huh?” Carol sent the prize winning card as holiday greetings to friends and the overwhelming positive response sparked the creation of Zelda Wisdom. So how did Carol take a talent for words and a photogenic bulldog and translate it into more than 1 million greeting card sales in year one and ultimately a $50 million business? Here is a recap of some of her year one highlights. Started company with a combined $40,000 line on four different credit cards. Used the power of her network to recruit a top notch photographer and publicity agent. Brought them in as partners as there was no money to pay. They launched with 24 cards and had a local printer agree to print 1,000 of each with 90 day terms. Through the power of publicity Carol and Zelda gained coverage with local media and when it came to test market in Oregon and Washington State local retailers were beating a path to their door. Based on the success of the test market Carol went all in and decided to participate in the New York Stationary Show. Along with a booth in the basement with all the other small vendors Carol took out a full-page ad in the show’s catalog with a huge photo of Zelda dressed as a bee that said ‘Why Bee Normal? The long and the short of it is Zelda became the star of the show and the company was able to sign a licensing agreement with a major licensing company. Carol and Zelda Wisdom have never looked back. Sixteen years later after appearances on Oprah, Martha Stewart and Good Morning America amongst many others, Carol is still loving what she is doing. When we spoke, Carol and her team were starting to work on their 2018 calendar. Earlier that week she and Zelda’s production director were what they call “Good Will Hunting.” The name they humourously give their regular visits to the Goodwill looking for new calendar worthy costumes for Zelda. Life is great. So what are the lessons learned and advice that Carol has for fellow 50+ aspiring entrepreneurs? Be daring, different and smart. Carol researched the market and found that 97% of the small start-up greeting card companies fail within the first two years. So she set out to find out why and realized that almost of all of them looked the same. Nobody used a real-live dog; no one gave the dog a name. There was no live dog that was branded in the greeting-card industry. Another crucial thing Gardner noticed was that almost all of the cards were focused on occasions like Christmas, Halloween and birthdays…. But there weren’t many cards that were fun greeting cards that just made you smile and that you could send any time of the year. Carol’s story and business success is filled with smart decisions, but none more important than the decision to make Zelda the star and the recognition that Zelda’s star power could open the door to significant mainstream media coverage. “When you have an idea, test it. Do your research and then test it before you put much money into it, and if it comes back positive, go all out and bet the farm.” Not only were gift shop retailers reaching out to them during the Oregon and Washington State test, but many of the retailers reported initial sales that were unheard of for the greeting card category. This was the information Carol and her team needed to swing for the fences at the New York show. Surround yourself with a terrific team. As mentioned even though Carol had no money she recognized that to bring her idea to fruition she needed a top flight photographer and outstanding publicity agent. The fact that they continue their partnership today is testament to the strength of that early decision. Do something that you are passionate about. Carol combined her love for dogs and her creative strengths. The early decision to build her business through licensing agreements ensured that that she could continue to focus on what she loved to do and could do best. It is never too late to start. Carol’s story should provide inspiration to anyone in midlife who is considering becoming a 50+ entrepreneur. My next post, blog #2 of the series, will be the story and lessons learned of Jeffrey Nash, CEO/Owner Juppy LLC. 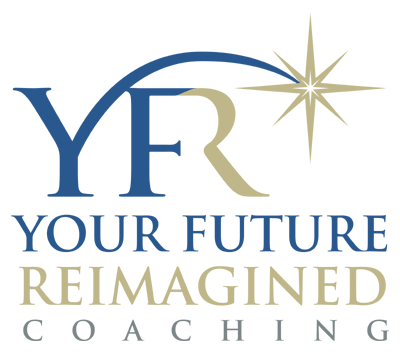 As President of Your Future Reimagined (YFR) Coaching and Consulting, I help professionals/executives successfully transition to enjoyable and enriching Next Chapters. Please contact me to book one-on-one coaching, workshop and keynote speaking engagements.